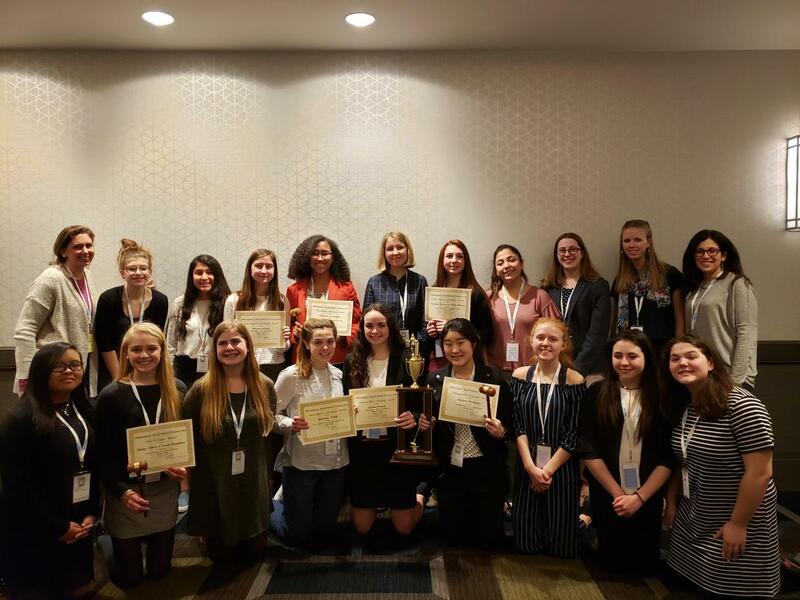 Junior members of Trinity Hall's Model United Nations group had the most successful result in school history at the 2019 Philadelphia Model United Nations Conference, February 28 - March 3. The sisterhood made a big impact in the city of brotherly love, as they racked up nine individual awards plus a school award. 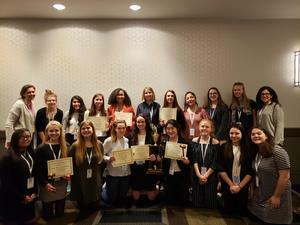 "We’re so proud of the girls for their demeanor, confidence and critical thinking this weekend," said Nicole Sadowski, Trinity Hall faculty member and one of the MUN advisors. "Every committee chair told us what confident public speakers Trinity Hall students were - as if we didn’t know!" Congratulations to all the delegates and their faculty advisors, Mrs.Havens and Mrs. Sadowski!